The 2018 Ford Aspire facelift is rumoured to be launched in India on October 4. The car will come with styling updates, new features and possibly a CNG variant as well. The 2018 Ford Aspire facelift has been expected to be launched around the festive season, and recent reports suggest that the carmaker might have finalised on the launch date. Rumoured to be launched on October 4, the facelifted Ford Aspire subcompact sedan will come with revised styling, along with new and updated features. However, we haven’t received any confirmation from the company. 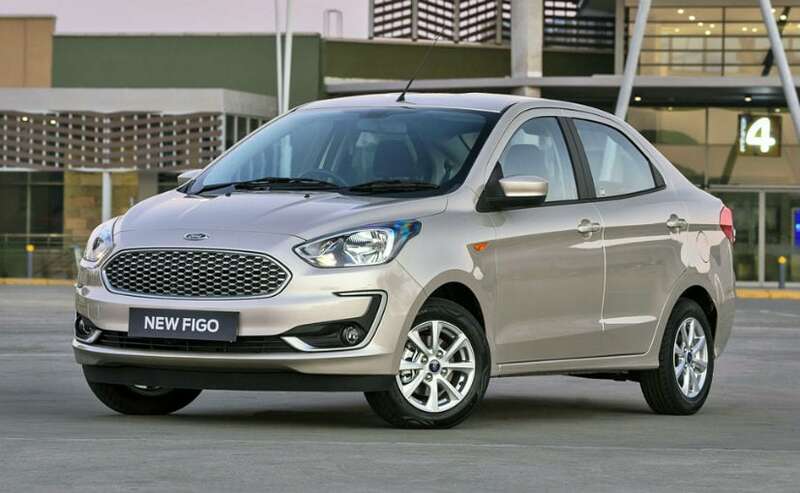 In fact, some of the dealers we spoke to tell us that the Figo facelift, for the first time, will also come with a CNG variant, possibly to cater to the fleet taxi market. In fact, a CNG test mule of the faclifted Figo hatchback has also been spotted a couple of months ago. Based on some earlier seen spy images, the 2018 Ford Aspire will come with new honeycomb pattern grille with chrome surrounds, restyled sweptback headlamps, and possibly even LED daytime running lamps. The car also comes with wider central airdam and redesigned round foglamps. The car also gets a new set of nicer looking alloy wheels and slightly tweaked taillamps and rear bumper. The spy shots also gave us a sneak peek at the cabin, which takes styling cues from the updated EcoSport and the new Ford Freestyle. the Aspire facelift still comes with the black and beige dual tone treatment and the dashboard design also seems unchanged to an extent. However, instead of the monochrome infotainment screen, now the Aspire comes with a dashtop touchscreen display, similar to the Freestyle and the EcoSport. Courtesy of the new system, there are lesser buttons for in-car controls and repositioned central air-con vents. There is also an engine start-stop button positioned closer to the driver and we also see an automatic shifter lever. Under the hood, the 2018 Ford Aspire facelift is expected to get the new 1.2-litre, three-cylinder petrol engine, which does duty on the new Freestyle, along with the existing 1.5-litre, four-cylinder diesel engine. However, some of the dealers we spoke to earlier, told us that the CNG model will feature the older 1.2-litre petrol engine. Transmission option will include a 5-speed manual gearbox and possibly the new 6-speed automatic torque converter, instead of the older DCT unit.